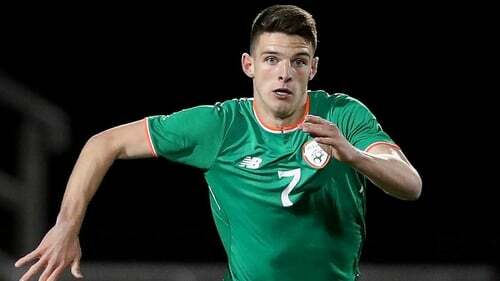 Martin O'Neill believes Declan Rice will not make a decision on his international future until the end of the year and that recent reports the West Ham defender has already opted for England are "without foundation". The Republic of Ireland boss said he had been in touch with Rice's family and that reports England manager Gareth Southgate had met with Rice and used statistics to convince the youngster he was in his plans meant far less than the three caps he has already won in the green jersey. "I think there's going to be a decision with himself and the family at the end of the year. "I’m always hopeful. Obviously, there are a lot of stories coming out but I don’t think there has been any change. "I’ve been talking to his Dad and I think they will make the decision at the end of the year. "He’s got a lot of things to consider. A lot of those might favour England but overall I’m still hopeful. "There's a fair difference between showing someone stats and someone actually playing for us. He was a young kid playing in the games. He played exceptionally well." Crucially, all three of Rice's appearances for Ireland came in friendlies, meaning he could still represent England, the country of his birth. He was first called up in May 2017 and had he played in the World Cup qualifiers against Austria or Moldova of that year would have been tied to Ireland. However, O'Neill insisted he couldn't have given the highly rated a youngster his competitive chance any earlier and suggested the rules allowing players to switch after a senior cap needed consideration. "I couldn’t have capped (competitively) him any more quickly. There wasn’t that opportunity. "He would have been in the squad for our opening competitive fixture. He had played the friendly games and done very well. We've played him in matches. He has yet to play for England. "It was his choice. The realisation of course that the minute you play competitively that’s it, and he was well aware of that. "That’s why he chose not to participate. He wanted a little more thinking time, which is understandable, considering where he was born." O'Neill said he accepted that Rice's decision would involve a certain consideration of the practical effect on his future career - the 19-year-old would expect to have a higher profile in the Premier League if he becomes an England international and has recently been linked with a move to Chelsea. "These issues are far from cut and dry and I'm well aware of it. Until someone decides that 'this is it'. "Not only has he got what I call soulful decisions but he also has to consider other decisions, he has to consider the idea of maybe performing for England. "You would accept it's more difficult to play for England than it would be for us at this minute, but the enhancements that go along with that, a lot of them have to be considered in this day and age. "I'm not waiting every single moment. I would hope that he would come and play for us, that would be great, for the next 10 or 12 years for him, but he's got things to consider and whatever decision he comes up with. I will abide with." O'Neill also referenced former Ireland Under-21 Jack Grealish's decision to turn down a senior call-up in the hopes of a yet-to-come call from his native England, saying "whether he's made the right choice or not, only time will tell." He will be hoping to avoid a similar situation with 18-year-old striker Michael Obafemi, called into the squad for the first time today. The Southampton striker was born in Dublin but grew up in England and is also eligible to represent Nigeria through his parents. "He’s got a little bit of pace, he’s strong and he’s making his way in the game. There’s a long, long way to go of course."